This is the plant that we described in the early years as Alocasia "corrugated". 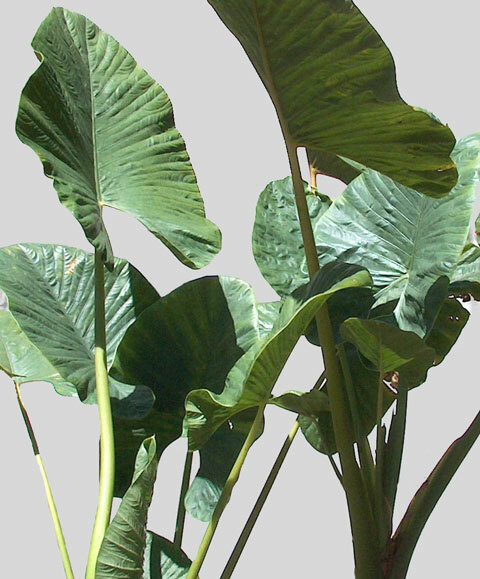 After the publication of our early results in the journal Aroideana, we received correspondence informing us that this plant was named "Alocasia crassifolia". Recently, we were informed that the true name is Alocasia alba, and that crassifolia is a synonym. Whatever you call it, it is the pollen parent to our Alocasia "Emerald Shield" and Alocasia "Corrugate Shield", and the ovule parent to our Alocasia "Ripple Effect". The veination on the leaves is distinctively prominent such that the veins can be felt easily on both upper and lower surfaces when running fingers across the leaf. 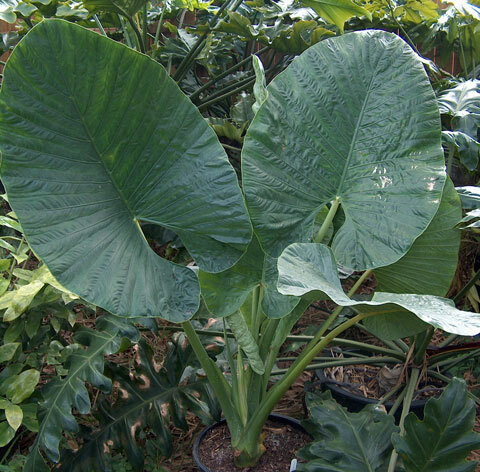 The overall substance of the leaves is heavier than that of the Alocasia odora, macrorrhizos, or gageana. The specimen pictured above is the one we have been using for 2007 hybridization work; this particular clone is more vigorous than the "legacy" clones we have had. It also sets seed much more readily, with fewer abortions.